Are you suffering from severe sleep disorders? 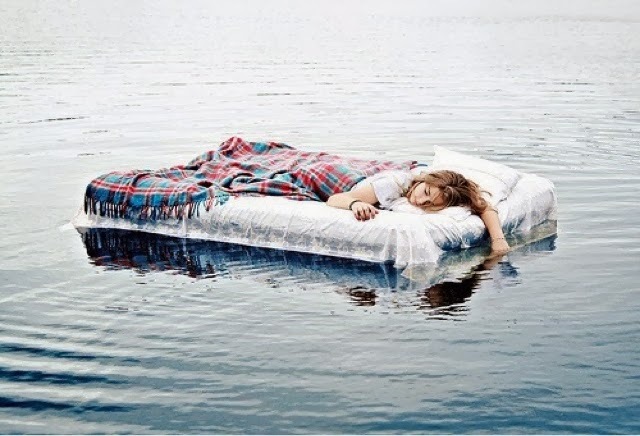 A waterbed provides the comfort that you need for your sleep issues. 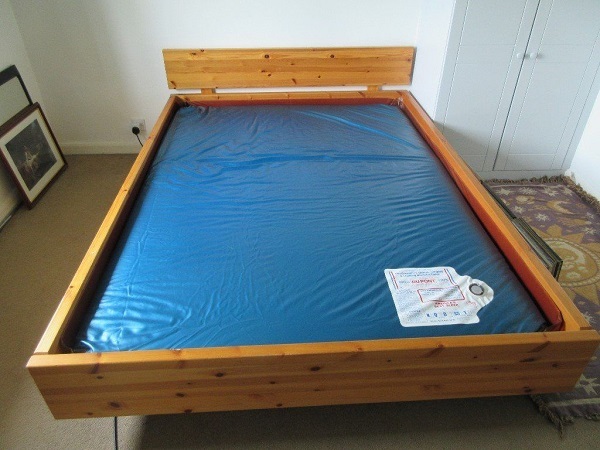 Waterbeds are also suitable for back problems and contribute a lot to reducing backaches. Amazingly people living with asthma have also found this bed a contributing factor in lowering the intensity of asthma attacks. It mainly consists of two types, hard-sided beds, and soft-sided beds. A hard-sided waterbed consists of a rectangular frame of wood with a mattress filled with water inside it. However, soft-sided waterbed has a rectangular frame made of sturdy foam with a cushion filled with water inside it, zippered inside a fabric casing, which sits on a platform. It looks like these conventional beds and its designed to fit existing bedroom furniture. During the early days, a water bed had a single water chamber that in cases of any disturbance to this free flow could be felt. However, modern types implemented a wave-reducing method, including fiber batting and interconnected water chambers which makes it wave less. In theory, a water bed can go on poster bed or platform bed too. However, waterbeds are not recommended to be used with adjustable bed frames. The fascinating bit about waterbed is that temperature can be controlled via a thermostat and set to personal preference. It’s hard to believe that waterbeds made for medical therapies, domestically. Not to leave out, a mattress pad and linens are significant to your waterbed, but it stops the waterbed from robbing you of natural body heat as well as soaking up conventional body oils that can deteriorate your mattress over time. Unlike other, you need to be much cautious during assembly. Just follow the steps below.Lay out your frame and hardware. Note that foot-board and backboard have grooved bottoms and should face in towards each other. Assemble the two sets of the center support system, by inserting the slotted pieces into one another. Lower the frame onto the deck and make sure the grooves on the bottom of the foot-board and backboard overlaps the deck boards. Install a safety liner and mattress. Now fill the water mattress. The waterbed is much comfortable. That is as a result of its form-fitting, pressure-minimizing nature. That is not only a boom for those seeking comfort, but the removal of pressure from the spine can provide relief to those with back pain. In rare occasions it not easy for dirt and dead skin particles to penetrate the water mattress, making it easy to clean just by wiping periodically with a piece of cloth and vinyl cleaner. Back in the day’s waterbed were designed as a bed patient, with a pump to control water level, side supports to permit one to float. Thermostatic control of temperature, safety interfaces to avoid water shock. Waterbeds have been shown to be beneficial in combating the following medical conditions. So what are you waiting for? If you think the solutions to your sleeping woes is a waterbed, it’s time to get busy shopping for one.